At False Bay Firearm Training Academy we offer Clay Pigeon Shooting. We are the only shooting club in the Cape Metropole to offer this sport! 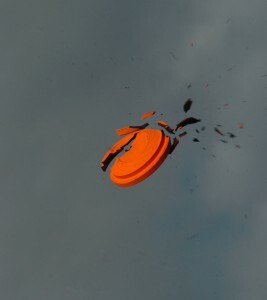 Contact us for more information and prices on clay pigeon shooting Cape Town. The Firearm Training Academy – Firearm training, Shooting range, Shooting lessons, Handgun training, Rifle shooting, Hunting accessories including telescopic sights, Sports shooting, Target shooting, Gunsmith services, Arms and ammunition. Team building programs offered. Gun Club. Keith has been shooting and loving it since the eighties, and has been shooting competitively since 2003. He has competed in the IPSC, the IDPA and internationally at the IPSC African Area Champs and, in 2011, he attended the IPSC World Shoot in Greece, as his daughter’s manager. Keith’s passion for shooting stems from the exhilaration of the experience, the fiery competition and the huge stress release factor! Keith turned his hobby into his business and will offer you nothing but the best. He loves sharing that passion, whether for fun or for serious training, with his endless supply of fascinating facts and background information.